My first two years of high school I had a job running errands a couple of days a week and sometimes on the weekends for a badly burned, heavily scarred, barely able to move ex-merchant marine. 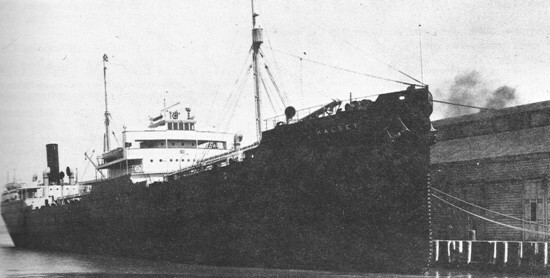 During World War II the merchant ship he was serving on was forming up into a convoy and was positioned among the other ships in the rear corner on the starboard side that he called "coffin corner," said by experienced hands to be the most easy picking location for submarines in a convoy. Before the convoy even formed up let alone got underway members of a U-boat wolfpack began striking at the edges of the still loosely associated ships with my friend's ship torpedoed. In order to save himself he had no choice but to jump overboard, landing in an area with highly flammable naphtha and oil burning along the surface of the water, the fire scorching his skin and heat scorching his lungs as he plunged through and returned for air. 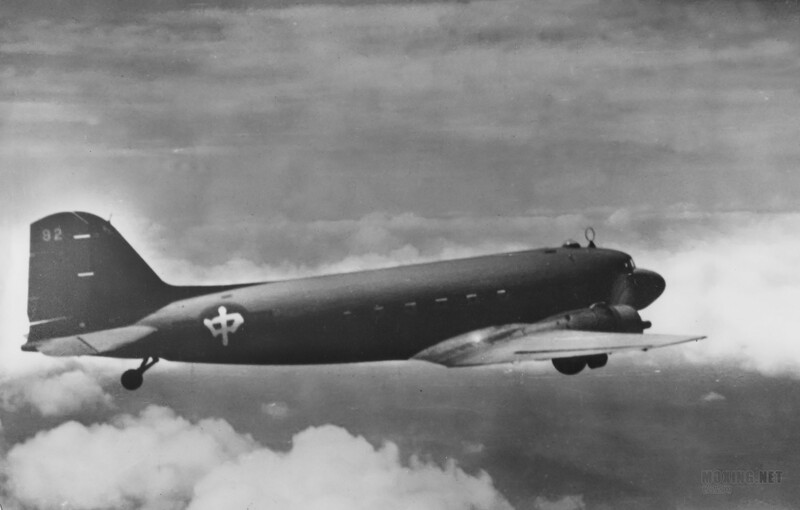 Months later he was found in the north Atlantic strapped by heavy ropes to a large piece of debris hundreds of miles from the attack, and although he himself said he did not recall ever being on a submarine, German or otherwise, let alone any other type of sea-going vessel, everybody told him it could possibly be the case because he was, after all, severely burned and months had passed before he was found. The conjecture was that he must have been attended to on a submarine --- although all agreed subs had limited facilities and will to do so, especially for any extended period of time. It is on record that an hour after the attack the U-333, the submarine that launched the torpedoes against the Halsey, came alongside the lifeboats and offered assistance, but it was declined, which is another thing he doesn't remember, being in a lifeboat. He, however, held to the belief that other things were in the works. He spent months in recovery and rehabilitation. One day in the hospital while being given a sponge bath he was looking in a hand mirror at his burn marks when he noticed he had the necklace around his neck. He never had a gold necklace in his life. When he asked the nurse where it came from she said as far as she knew he came in with it as it was found among the few personal effects he had with him. She said typically they would not put any jewelry on a patient but some of the staff thought that since he was so scarred by the burns that he might like a little beauty in his life so someone put it around his neck. He told me he had no clue where it came from or how it came into his possession, but for sure he didn't have it on before he was torpedoed. He said everybody always admired it and it appeared to be very ancient. Several years after I saw the necklace for that very first time found me in the Cholon district of Saigon gulping down a large amount of a seemingly never ending supply of of alcoholic beverages. From out of the smoky milieu of mostly horny and inebriated GIs, unsolicited, what was affectionately tagged in those days as a Saigon Tea Girl, attempted to sit on my lap and tried to put something around my neck. Pushing back I could see she held what appeared to be a gold necklace stretched between her hands. Hanging midway along the necklace was a small Chinese character. Basically grabbing the necklace from her hands I asked where it came from and how she got it. She turned facing a general group of barely discernible figures sitting and drinking toward the back of the barroom in the shadows along the darkened wall, telling me that one of the men, a burnt man, had paid her to put it on me. When I asked what she meant by a burnt man, using her hands in a swirling motion in front of her face combined with a sneering facial expression to indicate scars while gasping for air as if the man had a tough time breathing, said in broken English, "burnt man, burnt man." In just the few seconds it took me to work my way through the crowd to the back wall pulling the tea girl with me the burnt man, if there ever was a burnt man, was gone. Nor could anybody at any of the tables remember seeing or talking to a heavily scarred man, burnt or otherwise, sitting at any of the tables --- although some of the GIs were fully able to recall the girl. I was in the Cholon district of Saigon not because of the beer or being a Birkenstock festooned world traveler hitchhiking through Asia seeking spiritual awakening, most of whom at the time such as Richard Alpert and Bhagavan Das and later Steve Jobs were way to the west in India or Nepal seeking out their guru du jour Neem Karoli Baba, but because of the draft. And I'm not talking draft as in draft beer either, but draft as in the military, better known as the Selective Service System. The SSS draft was the way it was for a vast number of young men growing up in America around the same time I did. 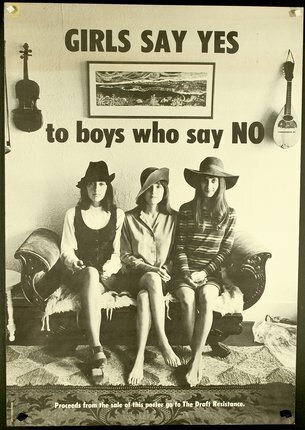 True, there were any number of young men of similar ilk as me who apparently smarter in some fashion than I was, sought avoidance of that same draft I was caught up in by going off to Canada, seeking out college deferments, or, if already having received degrees, going on to graduate school or joining the then newly formed Peace Corps or the National Teacher Corps. But, if that wasn't in the cards for you, you were uprooted from wherever you were or whatever you were doing and plunked down in the military. The military meaning in most cases, the U.S. Army. And so it was for me. Following a crowded ruckus-filled overnight 400 mile train ride from the induction center in Los Angeles to Fort Ord I, along with several hundred other potential GIs, at 4:00 AM in the morning, was herded into one of a whole line of cattle trucks and taken to what they called the Reception Company Area. Then, after being issued two pairs of too large boots along with several sets of too large olive drab shirts and pants, and having the good fortune of completing eight weeks of basic without incident I was sent to the U.S. Army Signal Corps School in Fort Gordon, Georgia for what they called Advanced Individual Training, or AIT. Following completion of AIT, except for a short detour to Fort Benning, Georgia, I was sent to Fort Riley, Kansas. From Riley, on TDY, I continued participating in an never ending series of so-called covert related training activities. One day, traveling light and wearing my Class A uniform per verbal orders, I boarded a train to Los Angeles, California, with the luxury of my own sleeping compartment and eating in the dining car before the hoi polloi got to. In the dark of the early morning hours, after the train stopped in Needles, I was told to shed my uniform and taken off the train by civilians as a civilian to Norton AFB near San Bernardino and from there flew to Travis AFB. 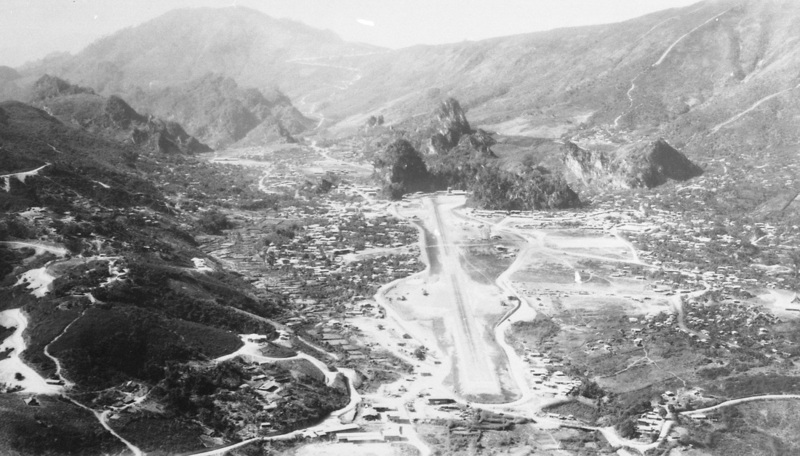 A short time later, after rout-stepping around Tan Son Nhut Air Base for awhile and visiting Saigon a few times, nearly always by myself and never having been officially assigned to a unit, found me in Long Tieng, Laos with nobody knowing I was there having bypassed basically all military paperwork and protocol. Following a series of encounters in the court of the Southeast Asian warlord that ran Long Tieng, encounters of which were initially put into place by others well beyond my control, later found me miles and miles away high in the mountains of the Himalayas outside the confines of any warlord, in one of those ancient monasteries truly beyond the reach of time. As it was, the merchant marine I knew and worked for while I was in high school was actually a major celebrity or sorts. At least he was when it came to the loose knit west coast merchant marine community where he lived, carrying a huge high level of notoriety and prestige ahead of himself. That notoriety and prestige, as focused as it was, emanated from the mysterious events surrounding his survival, including the necklace, after being lost at sea and found alive so many months and hundreds of miles away from the spot his ship was torpedoed. So said, because of the close proximity of his home with two major world class seaports, Long Beach and Los Angeles, both crawling with merchant marines and other seafaring folk, it wasn't unusual in those days for any number of merchant marines and fellow seamen to drop by his house and pay him homage. Three that I met were highly notable in their own way. The first of the two was Guy Hague, who was known for his studies and darshan in the ashram of the venerated Indian holy man the Bhagavan Sri Ramana Maharshi, with second of the two being Truman Bethurum, who actually lived only a few blocks away, and was at the time becoming famous in some circles as a "contactee." The third man was a former merchant marine, who had known my friend in the past by the name of Bob Kaufman. Not long after Kaufman showed up in the general Los Angeles area than he began visiting my merchant marine friend. On one of the days Kaufman was visiting he noticed the necklace around the merchant marine's neck. After asking him about it, then asking if it was OK to look at it, my friend, in that his hands were not nimble enough, had him remove it. Kaufman examined every minute detail. When he was done he handed the necklace back and told the merchant marine he was sure he had seen the exact same necklace once before. The merchant marine, so stunned it took what little air he had anyway away, gasping while searching for more air to respond, told Kaufman that was impossible because as far as he knew it was one of a kind, there was no other like it on our side of time. Kaufman told him some ten years before, during the early part of 1944, with the war still raging, he had sailed out of Philadelphia on board a Liberty ship headed toward India, ending up in Calcutta. 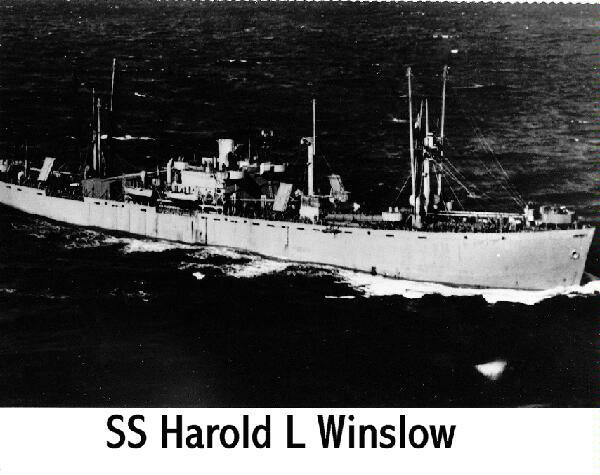 He was stuck in Calcutta for about a month before being shipped out, sometime he thought, around the middle of May, 1944, albeit on a completely different ship than he came in on, called the S.S. Harold L. Winslow. As to the necklace itself and where it came from, my Merchant Marine Friend told me that when he was around my age (i.e., my age then, the first two years of high school) he had become driven, actually obsessed with the lost continents of Atlantis and Mu. As soon as he could he began traveling the world to find or substantiate both places. But, the more and more ancient places he visited and more and more educated he became the more and more he became convinced neither place ever existed. In his quest, both pro and con, besides all the Atlantis and Mu books in his library, he had collected reams and reams of books, material, research and explanations that debunked nearly every single aspect of either continent or their civilizations that anybody could ever pose. So said, even though I heard him say many times that he had long since lost faith in the existence of either of the lost continents, through inference he often related the origin of the necklace back to one or the other or both. However, the grounding source for the origin of the necklace usually falls back to Gyanganj, AKA Shambhala or Shangri-La. How the necklace itself fell into his hands in the first place is still not known with any amount of certainty, although there are those who seemed to think he got it after being picked up by a German U-boat. He attributes it more to what is found in the story High Barbaree and The Shipwrecked Sailor. There are several ways of deferment and exemption legally open to college graduates. The surest is to be a medical student. 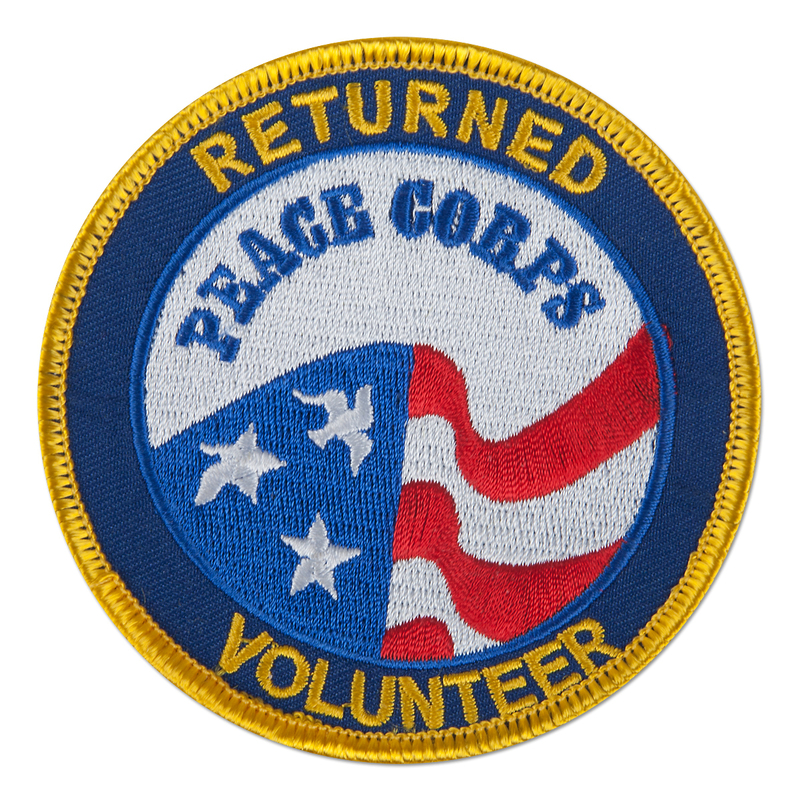 The Peace Corps, VISTA and the Teacher Corps are other means by which seniors may salve their consciences without breaking the law. They earn a man a deferment for a year. Teaching leads to deferment in most cases. Two other major paths out of the armed services are conscientious objection and physical disqualification. There is the possibility of emigration to Canada or other countries The latter is not popular. It means the young man cannot come home for a visit without risking arrest or perhaps 5 years in jail. 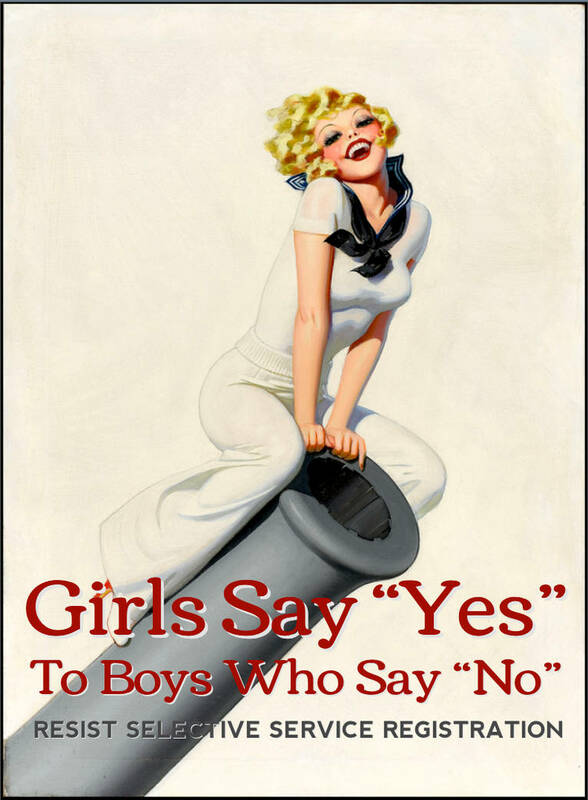 Few want to cut themselves off forever from American girls and American jobs and their families. Many people take issue with the saying: "under the protection of the Lord Buddha" --- especially so in how it relates back to the Buddha and Buddhism --- and then in turn, how it relates back to me specifically. However, implications or no --- or related to me specifically or not --- the quote is NOT of my own making. Although I have since heard it unsolicited a couple of times under varying circumstances, it first came to me from an apparent underlying belief held by the KMT Buddhist upon seeing the small Chinese character around my neck. Accurate assessment or not, it is what he believed. So too, in his own way, it is what Khun Sa believed as well. I have since run into people seeped in Buddhism that upon seeing the tiny medallion said the same thing. One day, while still at the monastery, I was in a group of monks that went to the village some miles away. While there I sought out a villager that was able to speak some English. I was able to get him to write, in Chinese, a note to the master requesting information as to WHY the symbol around my neck afforded some sort of significance. Upon return the note was delivered by an intermediary. Some months later I was given a handwritten response --- in Chinese. After returning to the states nobody I showed the response to, who should have had the ability to read it, were able to translate it with any amount of accuracy. In 1977 I was in Hong Kong to seek audience with the famous translator Upasaka Lu K'uan Yu. The purpose of that meeting was to get a better handle on what the Zen master wrote. The whole story is fairly long and complicated and most do not have the time or interest to delve into it at much length. However, the gist of the translation revolves around one King Dhatarattha, Bodhisattva, one time follower and confidant of the Buddha. Dhatarattha was the Lord of the East. The sun rises from out of the east, that is from the east of Mount Meru, out over the ocean that laps against the eastern shoreline of Meru and that extends continually eastward well beyond the horizon. The King's realm and power oversaw all that the ocean and beyond entailed --- the hidden lands of Fu Sang and all. If you recall, the symbol around my neck originally showed up around the neck of a merchant marine that had been found strapped to a piece of debris floating in the ocean. Not suspecting anything and trusting the words of the king's proclamation the Bodhisattva and his friends were enjoying themselves among the lotuses of the lake, when the foot of Dhatarattha got entangled in a snare. In order to warn the other swans of danger, he announced by a certain cry that he had been caught and the swans with a cry of terror flew up into the air. Only Sumukha stayed at the side of his Master and would not move. The Bodhisattva urged his friend to leave him as he could not help him, but Sumukha answered: whatever thy fate is, my Master, that shall be mine also. I always attend on thee in thy prosperity and I will not leave thee in thy distress." The bodhisattva answered: "What advantage will there be of death of both of us?" Sumukha answered:"The law of Righteousness teaches that one may not leave one's friend in distress, even for the sake of saving one's own life!" Now, how it relates back to me and being "under the protection of the Lord Buddha," I have been told, and I have no way of knowing how accurate any of it is, is that it is not from any direct translation of the Chinese symbol that is of importance, but the power invested in the symbol itself, as it harkens back to it being an ancient relic handed down through the centuries and blessed through the Buddha by King Dhatarattha himself.